If you have a device that uses memory of some kind, then chances are Kingston Technology Company has the memory you’re looking for. There is a Kingston memory upgrade available for cell phones, digital cameras, printers, MP3 players, and of course, computers. Computer memory can be difficult to figure out, because most people have no clue what type of memory their computers take. If they’ve never opened up the computer case, that can happen. However, all is not lost. By simply looking up the model of the computer, consumers can find out what type of memory their computers take, and can take the steps necessary to buy the right RAM for their system. 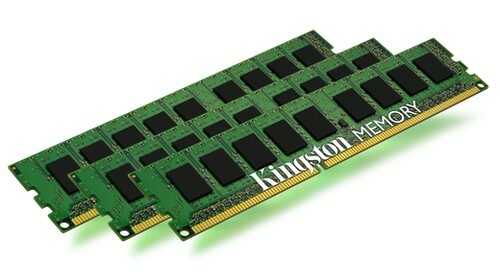 Buying RAM for a Kingston memory upgrade has to be precise, because there are so many different types. For example, DDR, DDR2, and DDR3 RAM all looks the same to the naked eye, but the notches on the side of the memory strips tell them apart. Although they’re natural evolutions from each other (DDR3 evolved from DD2, and DDR2 evolved from DDR) these types of RAM are actually incompatible with each other. Therefore, the notches on the memory strips distinguish one from the other so consumers don’t put the wrong memory in their machines. If you have a computer that takes DDR3 memory, don’t buy DDR memory thinking it’ll work. Yes, it’s cheaper, but it won’t work. Kingston’s website also has information about the computer models it doesn’t support anymore. This information comes in handy for those people with older machines, spending time scouring the internet looking for memory. Rambus memory, for example, isn’t used by very many machines nowadays, since the technology debuted over a decade ago. Only very old machines still use the memory. Because demand isn’t that high, the number of manufacturers still making Rambus memory has dwindled. Getting a Kingston memory upgrade for a Rambus machine will be difficult, since it has discontinued support for the majority of machines still using RDRAM. Kingston sells a lot of memory in several different forms, so it’s safe to say you’ll be able to find the memory you’re looking for from Kingston. A Kingston memory upgrade can actually save you money over buying a name-brand, but you’ll get very similar results. Upgrading your RAM is like buying a whole new computer; with additional RAM, your computer will run faster, smoother, and generally better. If there is any sluggishness in your system now, it should disappear by installing additional RAM.